Capt. Mike McConnell explains how the body scanner works. 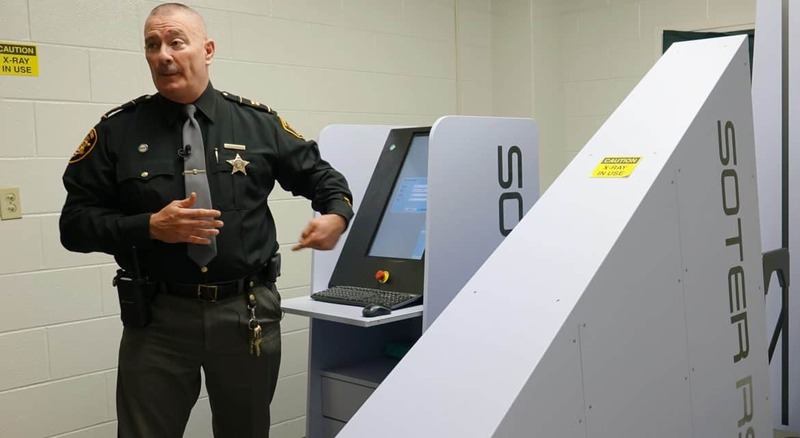 BATAVIA, Ohio (Nov. 28, 2017) – The installation of a Soter RS body scanner in July at the Clermont County Jail has led to a safer environment for both inmates and staff, according to Capt. Mike McConnell, chief of operations at the jail. Now, every inmate who is entering the jail – including trustees returning from outside assignments – must be scanned. The scanner works similarly to an airport scanner, McConnell said. The inmate stands on a platform, which moves across a low-dose X-ray beam. Two hundred scans are the equivalent of an X-ray, he said. Corrections officers go through training before they operate the scanner. 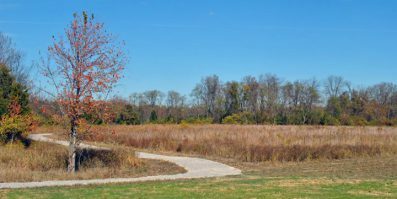 They are trained to look for anomalies, McConnell said. Since the installation, officers have found lighters, heroin, and, in one case, a diamond ring. When McConnell called the arresting officer to say they saw something that looked like a ring, the arresting officer told them it was evidence. The inmate had been charged in a breaking-and-entering, and had swallowed the ring. The scanner cost approximately $187,000, and was paid for through the jail’s commissary fund. The commissary fund is generated by purchases made by inmates, and these funds have to be used for items that will benefit inmates, McConnell said. “With the few things we’ve found already, we know that the body scanner has done its job,” he said.